Delivering powerful antiseptic and anti-ageing properties, Karin Herzog's Vita-A-Kombi 3 targets and combats blemishes, spots, acne and breakouts, whilst minimising the appearance of hyperpigmentation, scars, fine lines and wrinkles. 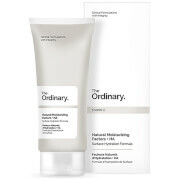 Fortified with 3% active Oxygen, Retinol and Vitamin E, the fast-absorbing cream boosts the skin's natural repair process and promotes cell regeneration, revealing a smoother, more refined complexion and even skin tone. Creating a micro-massage effect to flush out debris, toxins and blemish-causing bacteria, the treatment allows nutrients to penetrate into deeper layers of skin through the capillary walls, leaving it radiant, clear and healthy. 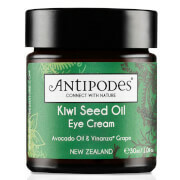 Gluten, paraben and dairy free. Vegan friendly. No animal testing. Apply a thin film on targeted areas as a local spot treatment using the brush. Do not massage in. Use two to three times a day to treat targeted breakouts. For best results, apply with a brush in order to avoid absorption of active ingredients through the fingertips. Please Note: A slight tingling may be felt due to the rapid penetration of the oxygen. The skin can also feel tight or dry and blemishes may appear as the oxygen pushes out debris and toxins. Avoid contact with eyebrows and hairline, as this product may lighten hair over time.